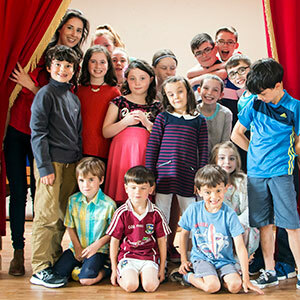 Children’s Classes run from September to May. There are 2 terms per year and each term runs for 15 weeks. It is possible to join a class mid-term, if there is a place available. Be Committed. It is important that you do not miss your class. If you will miss a class, please contact us to let us know you will not be attending. Be Punctual. Please arrive on time for class. Please ensure that students are collected promptly after class. Be Prepared. Always bring everything you need: Pieces, scripts, worksheets, theory, pencils, costumes, props and so on. Each course is a year long program. When you join a class, you join for the year. Fees are payable by the term, however, it is understood that when you commence class, you will continue until the end of the academic year. If for some reason you will not be completing the year, notice must be given on, or before week 13 of the first term, otherwise fees will be payable for the remaining term. Fees for term 2 are payable on week 14, or 15 of term 1. Please note: There is a 10% discount off second child’s fee, 15% discount off third child’s fee and 20% off the fourth/last child’s fee. What do our group speech and drama classes involve? 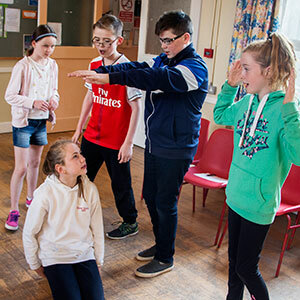 During the class, students work on all aspects of Speech, Voice, Drama, Acting and Mime. Above all, classes are a fun and enjoyable experience for students. The class combines fun with a focus. The lively and imaginative basis of the class ensures that students quickly lose inhibitions and eagerly participate in class. In this way, students gain confidence and have great fun in the process! Students work on solo pieces as well as group work. 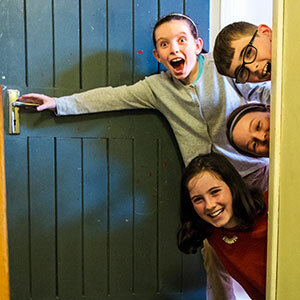 Students are motivated with specific aims, including; Performances, Recitals, Feiseanna and Royal Irish Academy of Music Examinations giving students a sense of direction, focus and accomplishment. We don’t like to boast, but we are very proud of our 100% pass rate of exams at ALL levels.